T/5 Donald L. Hamm, son of Mr. and Mrs. M. E. Hamm, Jean, husband of Lola Bartlett, San Antonio, attended Jean High. 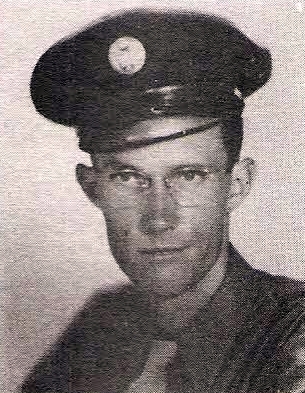 Entered Army Air Corps in 1943, trained at Camp Wolters, Camp Murphy, Florida and Robins Field, Ga. Discharged in 1945.